With Tokyo Toy Show 2014 underway, a LOT of new Transformers products from TakaraTomy have been seen on display. 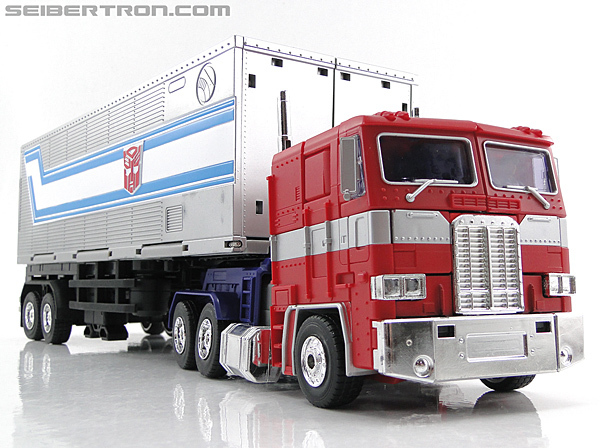 One such figure is the highly anticipated Masterpiece MP-22 Ultra Magnus. Though we'll get to covering the Tokyo Toy Show in due time, e-HOBBY has posted the first official TakaraTomy stock images of the figure in both of its modes. 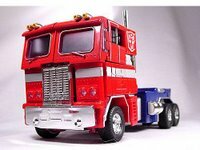 Two things that might stand out about this figure are its red robot mode lower legs and its red vehicle mode bumper. 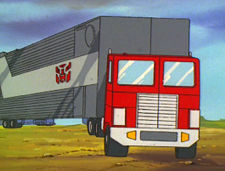 For the former, that's to help the look of the car carrier in vehicle mode due to where those leg piece end up being. 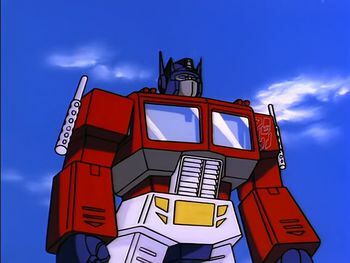 As for the latter, the bumper is red because, well, because that's how it was in the cartoon. Show-accuracy! Through the space bridge for the pics. Xept for the red bumper i like it. ironrod prime wrote: Xept for the red bumper i like it. Why should they settle for anything less than the most show-accurate representation of the character that they can possibly make? 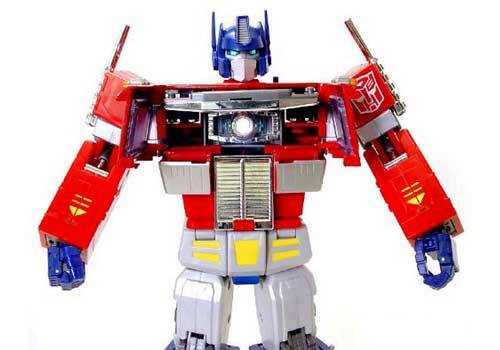 They did that for Prime seeing as his crotch is innacurate and the grille on MP01 was more accurate. Making the figure look worse for show accuracy isn't quite ultimate representation either.